This past weekend, after seeing a post on Facebook for DIY: Create Remy’s Ratatouille, I was inspired to make myself some homemade Ratatouille, and because I’m a bit of a food and movie geek, I decided to pair it with a screening of the Pixar movie Ratatouille. Luckily, my wife indulged me in this potentially silly “Ratatouille Night”. The dish itself is simple enough, consisting of baking sliced veggies along with some tomato sauce. 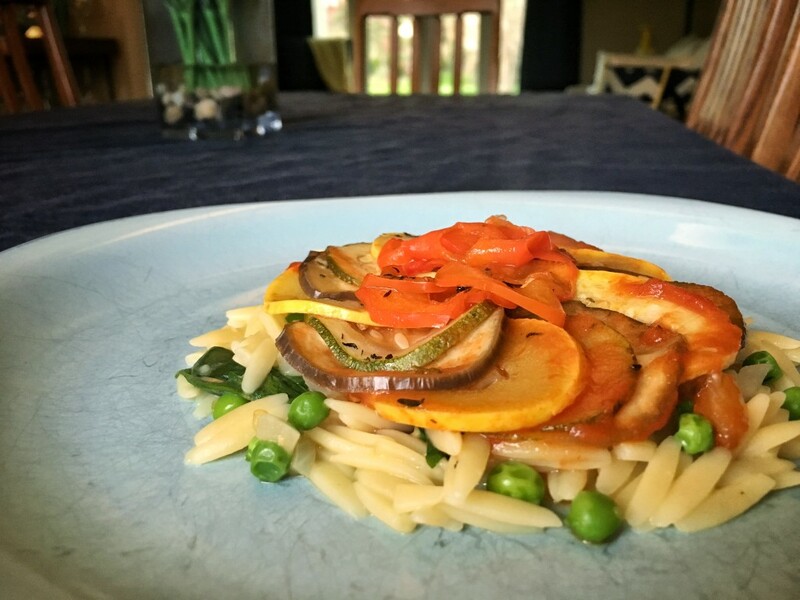 To add a bit more substance to the meal, I decided to serve the Ratatouille atop my favorite homemade Garden Risotto recipe from Food Network’s Ellie Krieger. The end result was healthy, flavorful, and outright delicious — and a perfect pairing for watching the movie! 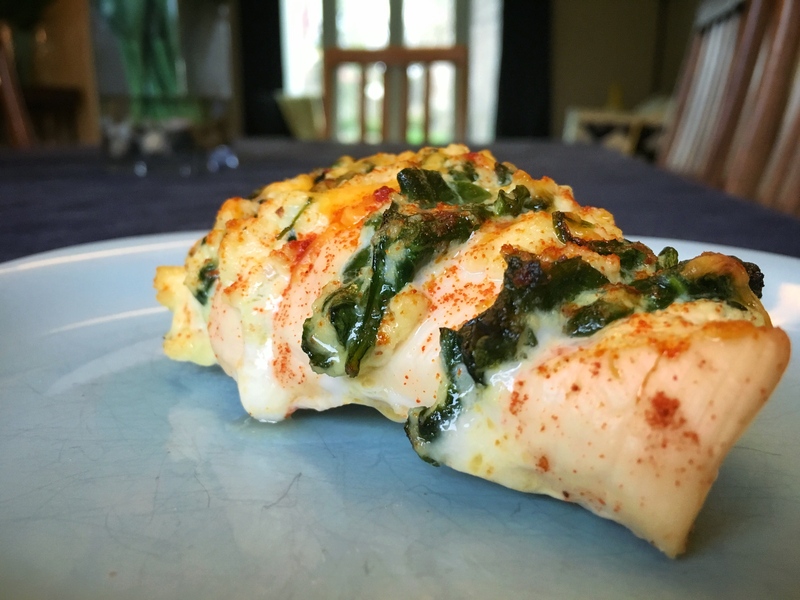 A few weeks ago, my wife shared a link with me for a recipe for Hasselback Chicken, asking if I could make it for her some time. So, the other night, I decided to give it a whirl for her. Being a vegetarian, I didn’t actually get to taste the result of my labor, but she told me that it was quite delicious, and a dish worth making again. I paired this recipe with some fettuccini tossed in a spinach and artichoke sauce, as well as a small side salad. If you’re a fan of cheese and only like spinach when it’s cooked, you should really give this recipe a try. I think you’ll like it! This morning for breakfast, I decided to make my wife and I some smoothies. And with a full honeydew melon on hand to utilize, I thought I’d try out a recipe I found on the Food Network website (with one small additional ingredient). I was admittedly nervous about the outcome, since honeydew is a pretty under-the-radar fruit, often just seen in fruit salads along with cantaloupe, strawberries, grapes, etc. It’s rarely the “featured” fruit in anything, so even finding a recipe (at all) that featured it was no easy task. Regardless, both of us were surprised by how delicious these smoothies ended up being, and will gladly make more of them in the future. 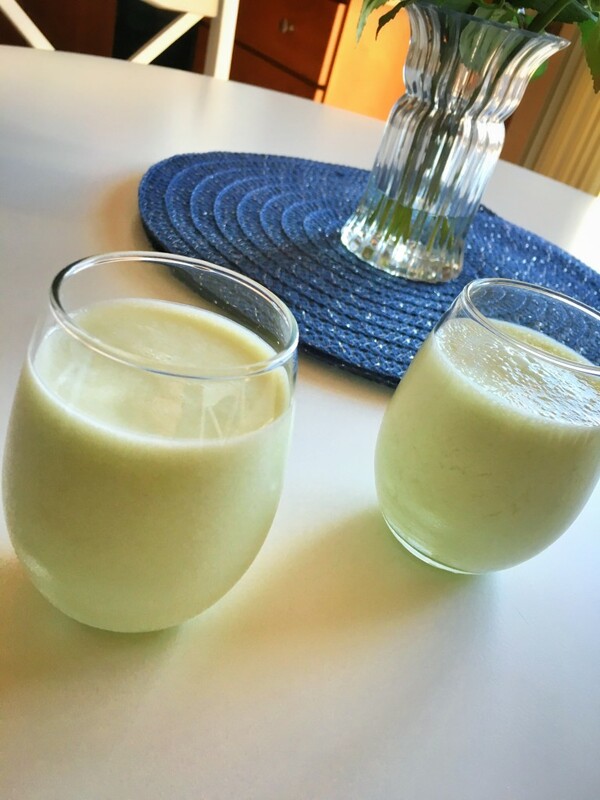 If you’re in the mood for a smoothie and have a few cups of honeydew melon at your disposal, I’d highly recommend you try this recipe. You’ll be glad you did! The other night I wanted to try a new recipe, and was jonesing for some cauliflower. 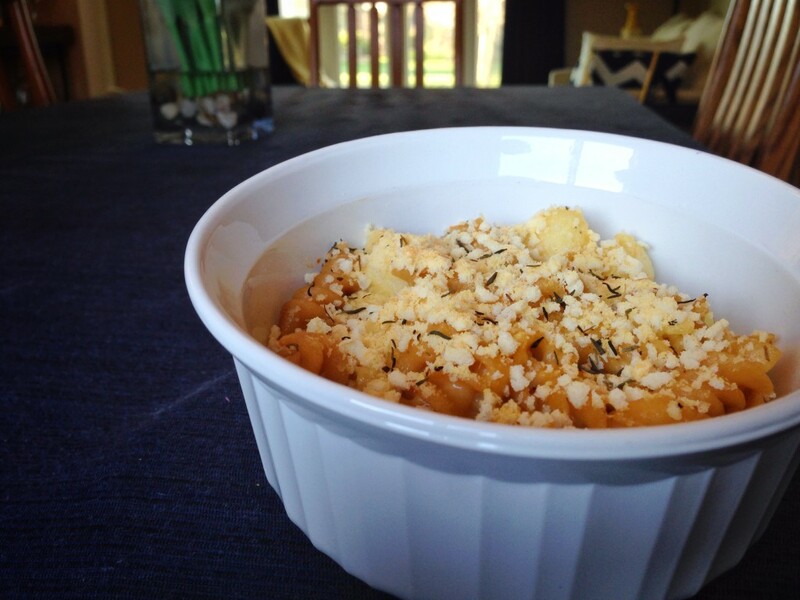 My cousin shared a Cauliflower Mac n Cheese recipe from the My Fitness Pal blog. With a few minor modifications to the original recipe, I ended up with a delicious and healthy result that I highly suggest you make. If you love “mac and cheese”, I see no reason why you won’t love this even more!